ST. GEORGE – A distortion exists in the way some people view wastebaskets, as though they serve as final destinations for anything tossed into them. Many fail to realize that trash cans are mere vessels for further travel – part of an endless cycle of relocation. It is through education and awareness that the value of recycling becomes part of a culture. Paul Pfaehler grew up in Pennsylvania where at the time there wasn’t any residential recycling pickup. Yet the lack of convenient recycling programs did not stop the Pfaehler family. Throughout the week they would save their recyclables and then haul them all to their respective recycling facilities. Recycling becomes a lifestyle once you obtain the habit of it, Phaehler said. His family instilled him with an awareness of the environment, an understanding of an individual’s responsibility in taking care of the planet. While working as a salesman at Red Rock Bicycle Company in St. George, Pfaehler said a co-worker nicknamed him the “Earth warden” because he took the idea of living green a step further than most. As a weekly mission, Pfaehler would gather up the shop’s recyclables, fill up numerous plastic totes and then stack them three or four high onto his B.O.B. trailer – a bike trailer so named from the idea of “beast of burden.” He would then attach the trailer to his bicycle and tow it to the recycling bins. For instance, his recycling process begins as soon as he enters a store. Phaeler considers the packaging of an item before buying it, such as soda. He said his first choice is aluminum because it can be recycled infinitely. Then glass because though it can be recycled, it requires more energy. He steers away from plastic as much as possible. Pfeahler now resides in Salt Lake City where three bins are allocated to each household — one for trash, one for organic waste, and one for recyclables; he said that the introduction of recycle bins was more of a reactive approach responding to the inversion. “Pollution drives people to be more proactive,” Phaeler said. What’s curious is that many residents in the St. George and surrounding areas are unaware that three recycling programs are available to them, each with its own unique appeal. Blue Sky Recycling offers curbside weekly pickup for $20 a month. 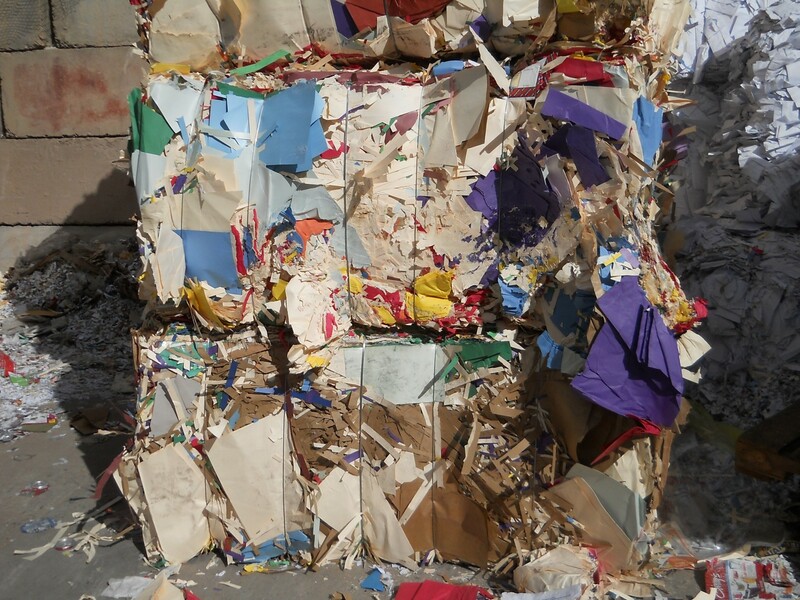 In 2003, Blue Sky Recycling became the first local curbside recycling program in the area. 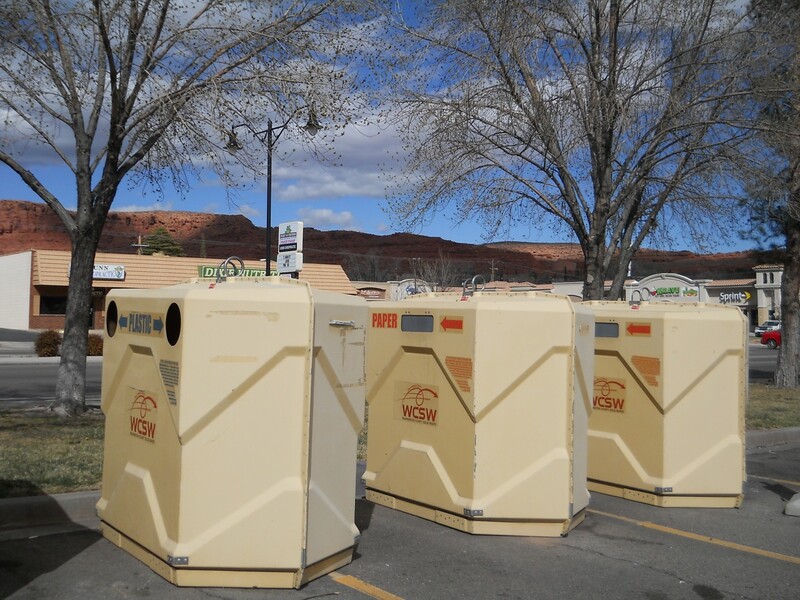 It began when owner Robert Harris was working in Kayenta making wind sculptures and heard about a few people around town who had moved to Utah from other places and were hauling their recyclables each week to the then closest recycling facility in Las Vegas. He offered to make a weekly run for them with his pickup truck and, within a year, he was getting calls from interested people in Cedar City, Springdale and Kanab. Today, customers are given the choice of either buying a container or supplying their own. The weekly limit for recyclables is 30 gallons. However, the Blue Sky Recycling service does offer leniency if customers supply more receptacles, Harris said. Such as utilizing three 18 gallon storage totes, by which they would help to sort the materials. Blue Sky Recycling prides itself on its personal relationships with its customers, Harris said. Allied Waste Services offers all-in-one curbside pickup every-other-week for $7 a month (billed quarterly). Which means that customers are able to recycle 30 gallons of materials every two weeks. The Washington County Solid Waste District offers a free service for recycling called the “binnie program.” This serves as a public drop-off system where people can collect and drop-off their recyclables at any one of the more than 40 sites of bins located across the county. The “binnie program” began in the spring of 2008 and is the most widespread recycling program currently offered. 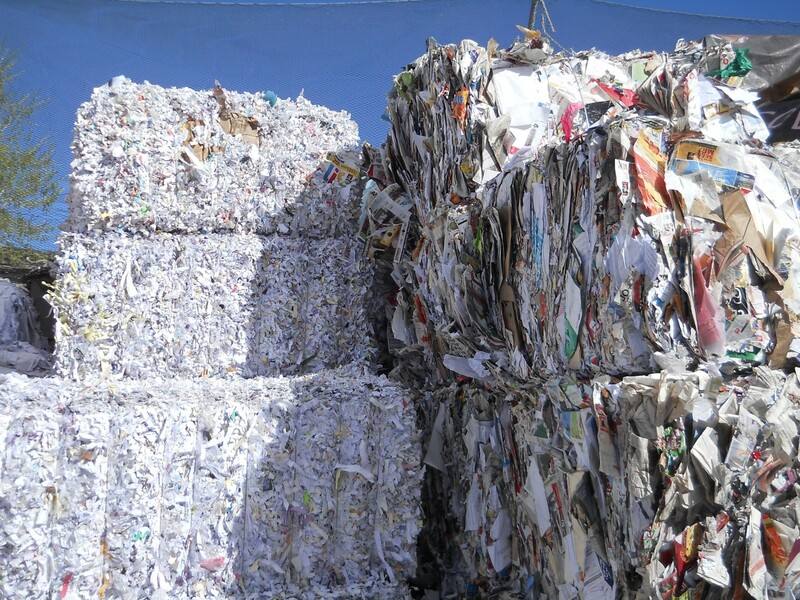 Return for metal, paper, and plastic materials from Rocky Mountain Recycling (which is the local recycling facility), fluctuates continuously. 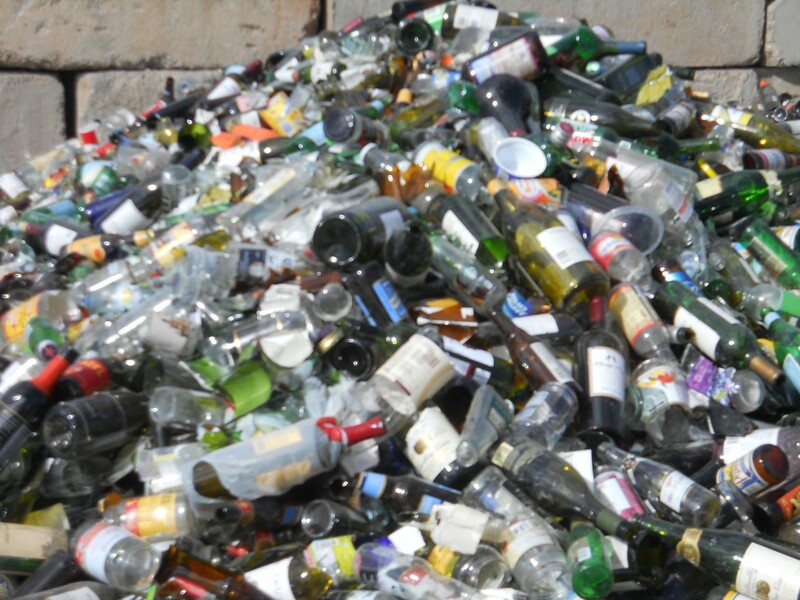 Glass is one material that requires payment to be recycled. 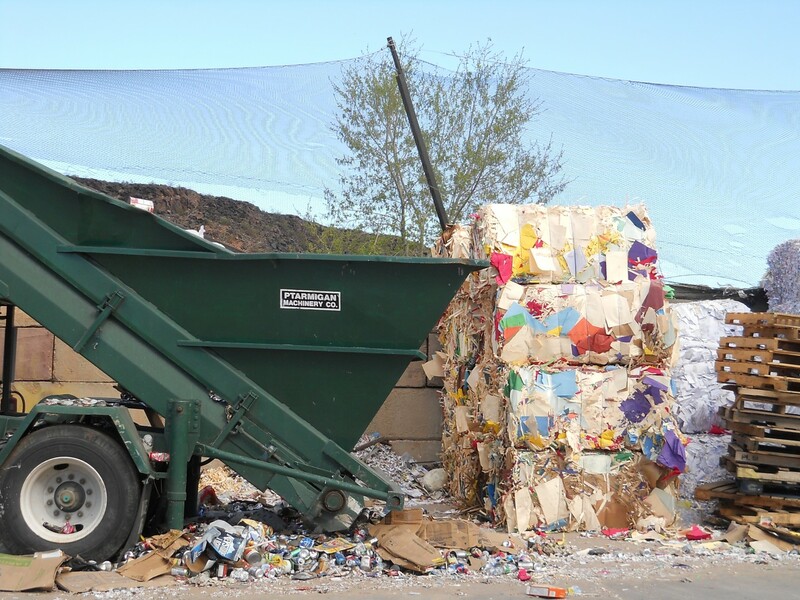 “The binnie system repays annual proceeds to each city based on the content and amount of materials recycled within that city,” District Manager Neil Schwendiman said. 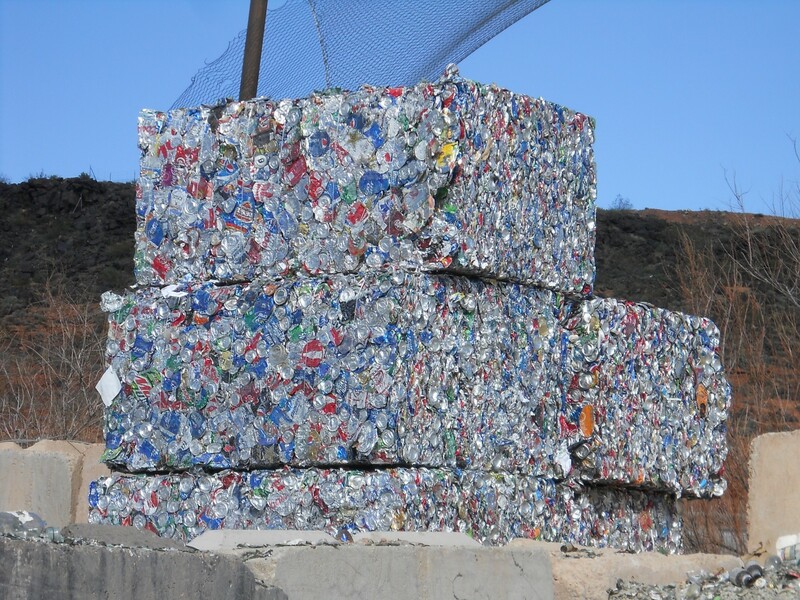 The discussion of more prominent recycling programs has begun to stir in St. George City council meetings, something St. George Mayor Jon Pike referred to as the “information-gathering stage,” as public interest has piqued towards a plan for the future. I have been a long time client of Blue Sky Recycling. They are friendly and hard working people. Recycling has made my big grey city trash bin almost obsolete. It is rarely ever even 1/4 of of the way full because I am so diligent about recycling everything. Looking forward to seeing more residents take responsibility for their over flowing ( and multiple trash bins) trash bins and start recycling. I remember putting those household recycle bins out on the street the evening before pickup. the bums and other early a.m. low-lifes would steal the cans, after tossing the glass and cardboard (usually on the ground). the almost always awoke you from your sleep also. didn’t give a hoot about it. I gave up on the recycle thing, and just tossed everything into the garbage can from then on. The binnie program is a great recycling resource. Now if only we can get the pigs to stop treating it like a trash dump.